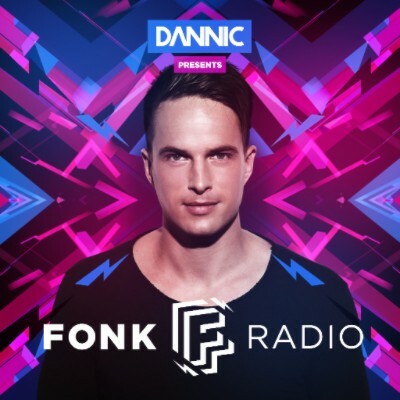 After his ‘Front of House’ radio show being syndicated to 45 radio stations around the world, as well as podcast hits apparently at ½ million downloads monthly, Dannic yesterday launched his fresh listening concept of Fonk Radio. Switching from Tuesday to the new day of Wednesday, every week from @ 6pm CET, Fonk Radio aims to continue the groove with the funk-infused house music that Fonk Recordings release, as well as some of the hottest electronic hits in the scene today. Pushing material from the likes of Tom & Jame, Holl & Rush and Amersy, as well as a string of up-and-coming producers brought together from his Fonk Recordings demo drops and digital submissions, Dannic’s Fonk aims to push the latest rolling rhythms and dance anthems whilst complimenting his own signature style. Launching new artists onto a rising platform, the brand new concept for the show aims to follow a similar suit, throwing more energetic flavours in the mix with some of the industry’s new blood. With an array of releases already from the Fonk Recordings collective including Dannic’s ‘Funky Time’ and Will K & Corey James’ ‘Let Me See You’, the hype surrounding Dannic’s possibly continues to grow, with the brand new radio show signalling the next path in the journey.